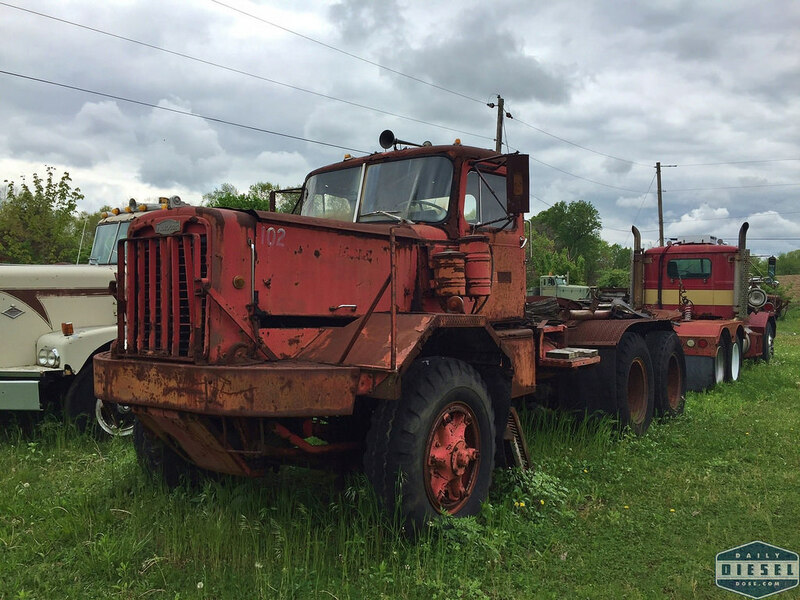 There is a little slice of truck and heavy equipment paradise in Lititz, PA by the name of Gerhart Machinery Company. The grounds are home to all make of cranes, dozers, loaders and trucks. The heavier the better. It therefore should come as no surprise than that Autocars make up a large portion of the boneyard fleet. In the early spring the doors to this collection of old iron is open for browsing during the “Diggin Day” when old machines roar to life and put on a show. Dave was able to stop by during this event to grab some great shots the Autocars on hand. I’ve seen photos and videos come out of this show for years. I’ve always told myself I should attend at least once if just for the chance to wander through the relics. I’m not sure what more it will take to convince me! 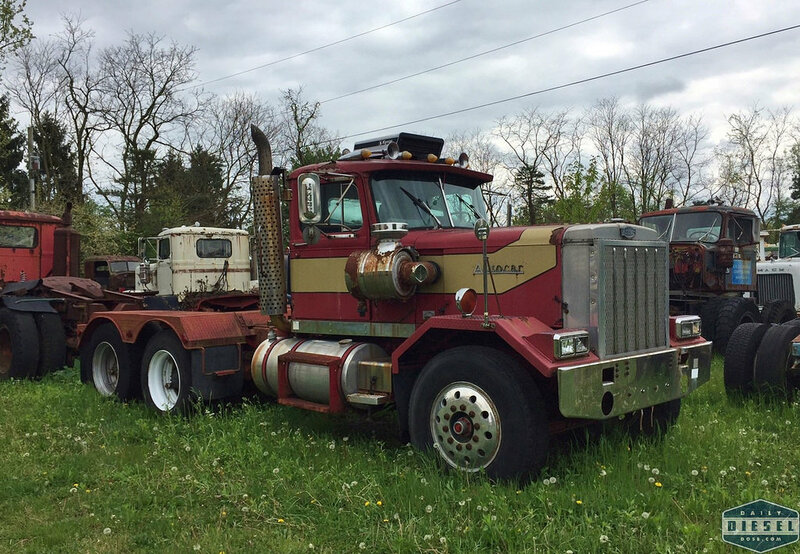 My next chance, and yours too, comes Sept 30 through Oct 1, 2016 when Gerharts plays host to the “All Mack” truck show. Visit their website for more information. Great shots Dave, thanks for the share! This entry was posted in Autocar Trucks and tagged autocar trucks, gerharts machinery. Bookmark the permalink. WOW ! Talk about a flash back !! 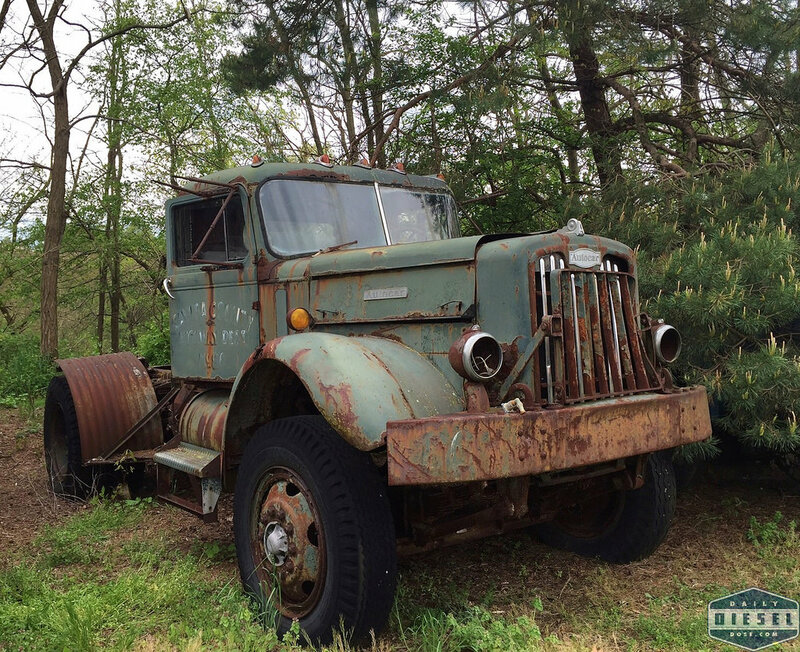 When I scrolled down to the Gerhart Machinery photos, I didn’t even need to enlarge the thumbnail photo of the old, green A-car to recognize THAT truck. 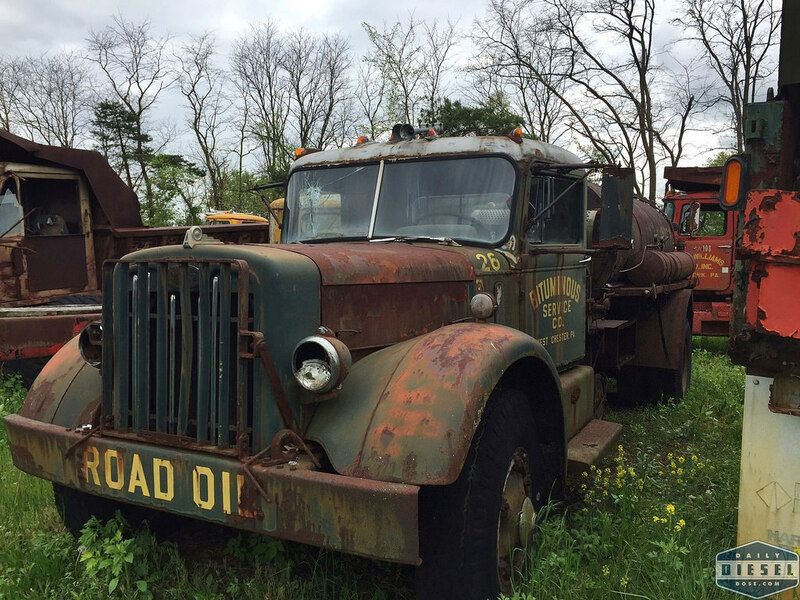 The BOLD letters – ROAD OIL – across the front bumper was all I needed to see to harken back to my days as a young boy in the early 60s in West Chester, PA. I loved to watch road construction of any kind. If Bituminous Service Company was paving a road anywhere within bicycling distance of my home in West Chester, I was there! Morning until the end of the work day. Most of Bituminous Service Co’s equipment was dark blue with “Cat” yellow lettering on the doors. But THIS Autocar was unique in their fleet – dark green with a silver cab roof. This truck was usually on the jobsite less than any truck in the BITCo fleet applying a layer of oil on top of the stone base before paving, but boy what memories that photo brought back. Thank you. Keep up the GREAT work. Stop back tomorrow (Saturday) for some photos you’ll really enjoy. Thanks Eric. Wow! Check out that old Cayuga County truck. Looks like No. 86 on the door. I have an advertisement with one of their Etnyre blacktop distributors mounted on one of these gas powered Autocars (C90?). The truck likely dates to 1955 or ’56 I would guess. I thought that’s what the door read. Couldn’t be sure if that was Upstate, NY Cayuga or some other location. Small world!